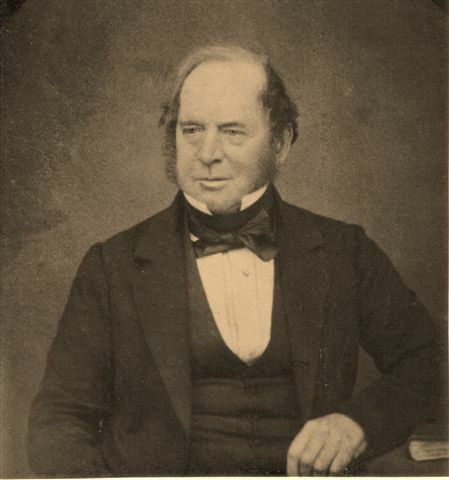 "Uncle Charles went to school at Mr Mason's at Ipswich", his fathers friend Lord Bexley (the Honourable Nicholas Vansittart Chancellor of Exchequer and MP for Harwich Lord High Steward of Harwich) procured for Charles (who had been brought up as a farmer) the position of clerk In the National Debt Office, in which he rose to be Chief Clerk. (C Liveing was apprenticed to Mr Wallanger at Finborough, his father paid £100 per annum for his learning, wheat fell to £7 a load in 1822 and farming became a bad business). Liveing Archive, from notes by Edward Liveing 1870. Charles Liveing Esq is noted in the Post Office Official Directory London 1846 as "First Clerk, Cheque Dept, Reduction of National Debt Office, 19 Old Jewry. He worked with Robert Liveing Fenn. Charles had a long career with the National Debt Office. In 1961 a summary of extracts from the minutes of the meetings of The Commissioners for the Reduction of National Debt was compiled, covering a period between 1786 and 1860. This was searched in 2003 by E. L. Fenn and the following references to Charles extracted. The National Record Office Kew have pay records under Ref: NDO 9/5. 1 July 1818: 175th meeting. Charles Liveing promoted to sixth clerk salary L140 per annum. 30 March 1841: 286th meeting. A report on the holdings of bills by the Commissioners, signed by Charles Liveing, check officer, was tabled. 3 July 1851: 327th meeting. Mr C. Liveing, the first clerk in check branch, was granted three months sick leave on a medical certificate, he was suffering from serious symptoms arising from long continued mental exertion, serious consequences are to be apprehended unless he stopped work. 4 July 1855. Mr Liveing reappointed principal check officer. Mr Liveing and Mr Clark, principal clerk's to be also assessors of property tax on life annuities, and staff salaries. 5 July 1856. The secretary reported Mr Charles Liveing principal check officer has been compelled on grounds of health (two medical certificates) to tender his resignation. He did so with great regret. The department will thus be deprived of the services of an officer who has superintended and directed this important branch as to deserve the marked approbation of his superiors. The resignation was accepted and Mr Liveing's case for superannuation was put to the Treasury in the most favourable terms. Note: an award of L500 was recorded at the next meeting, a Mr Bott took Charles position. The London and Provincial Law Assurance Society. Actuaries - Charles Liveing Esq . . . . .
Ref: The Morning Chronicle page 4, 15th November 1845. 1851 Census Essex, Lexden shows Charles Liveing aged 53 born Harwich ESS, a visitor at the home of his brother-in-law John Ambrose of 1 London Turnpike Rd. Copford Parish ESS - Folio 435. Charles is recorded as a clerk at the National Debt Office. Charles Liveing Esq., . . . . .
New Schools for St Matthias, Weir, Bristol. A Charles Liveing gave five guineas. Charles had numerous business interests, see Research Notes for his brother Edward. 29th ult at Brighton, Charles Liveing, Esq, late of the National Debt Office, for many years a patron of the Aldham and United Parishes Insurance Society. Ref: Chelmsford Chronicle 9 April 1858. Charles birth date is unproved, but Charles is refered to as a son by his mother Harriet in a letter to his brother dated 1823, in reference to some dissension amongst her sons. Also refered to in a letter by his niece Frances Liveing dated 29 Sept 1842 from Camberwell London. The Office of the National Debt issued gilt-edged Government Bonds created as a temporary measure to fund the American and Napolonic Wars, interest paid was underwritten from income tax. The bonds were bought for pensions etc, many people of the day were classified as annuitants holding 3 or 4% Gilts in one form or another. The Debt Management Office is now part of The Treasury. Its address is Eastcheap Court, 11 Philpot Ln. London EC3M 8UD. 1. Charles Liveing: His appointment to the National Debt Office, 30 Dec 1818, London. Minutes of the 177th meeting of Commissioners of the National Debt Office 30 December 1818. An Act to empower any Three or more of the Commissioners for the Reduction of the National Debt to exercise all the Powers and Authorities given to the said Commissioners by any Act or Acts of Parliament. Charles Liveing was appointed to this position on the recommendation of his fathers friend Lord Bexley, Chancellor of the Exchequor, Charles had been a farmer! Later Robert Liveing Fenn on the recommendation of Charles also obtained a Clerkship at the National Debt Office. 2. Charles Liveing: Letter from R R Newson Tenant, 17 Jan 1838, Ipswich. I have this day paid into the firm of Messrs Alexander & Co. Bankers in Ipswich, the sum of Thirty Pounds for you to receive of Messrs Barnetts & Co Bankers, Lombard St. London. I have now again to call your attention to the serious and heavy loss which happened to the premises which I now hold under you in Ipswich which loss I had to bear and sustain, and the particulars of which I have heretofore brought under your notice - and last Thursday two of the Tenants left two of the cottages in debt two quarters rent each. I do not take the money of the Tenants of the cottages which I allow you - but I well know it is my own fault for agreeing to pay L16-0-0 a year. I shall be very glad when my lease expires, for I am sure I would not give you more than L12-0-0 a year for the premises for another seven years were they now to lett - and especially to keep the same in repair. If anything touching the amounts between us is found to be incorrect I shall be happy to have the same corrected at my next years payment. 5. 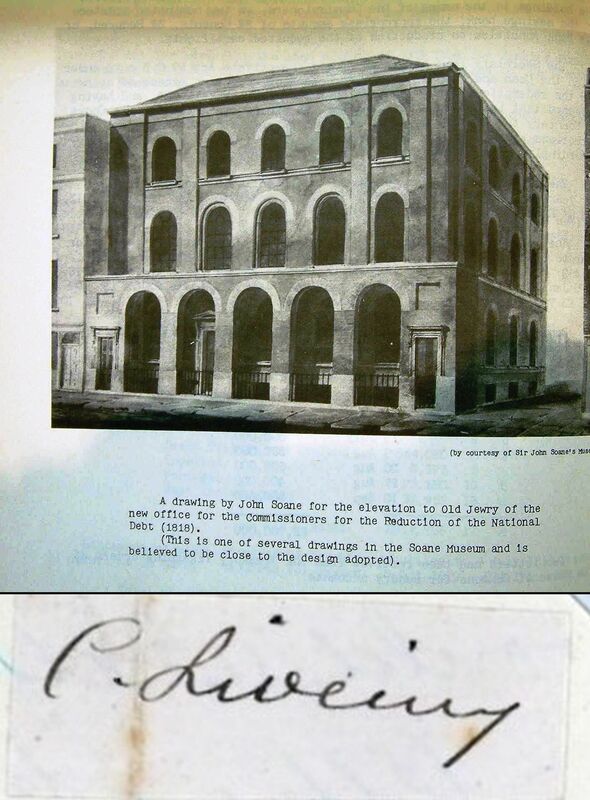 Charles Liveing: The National Debt Office London, Charles signature.